If photography on the go is your thing, you can be picky with a myriad of photography-focused software vying for your attention on the App Store. 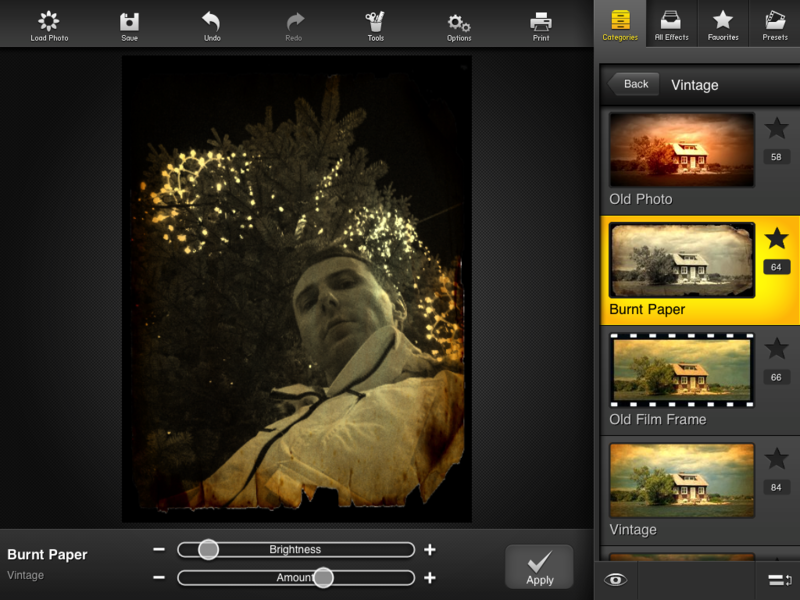 FX Photo Studio from MacPhun, the creators of Silent Movie Director, a video editing app I recently reviewed, has caught my attention recently. Now, I mostly use awesome Camera+, Photo fx and Instagram to capture and edit images so I approached FX Photo Studio with a skeptical eye. I mean, who needs yet another photography app, right? 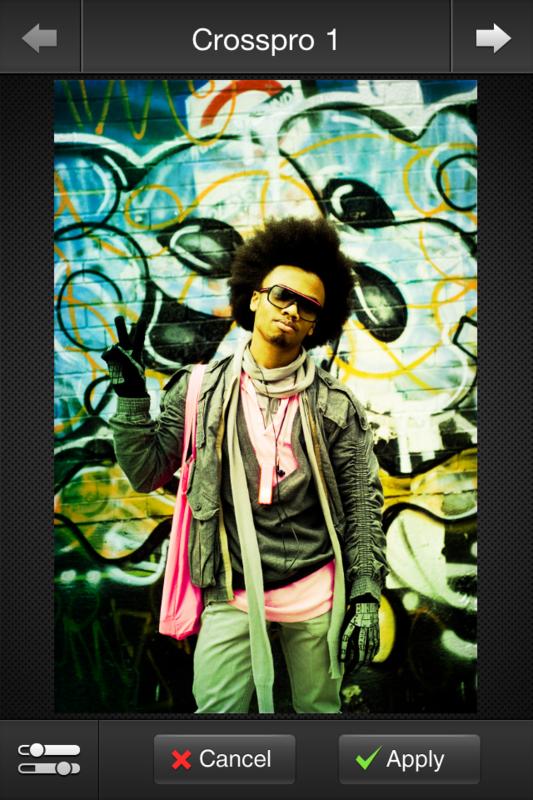 Turns out FX Photo Studio fills the void between pro offerings and casual photography programs quite nicely. 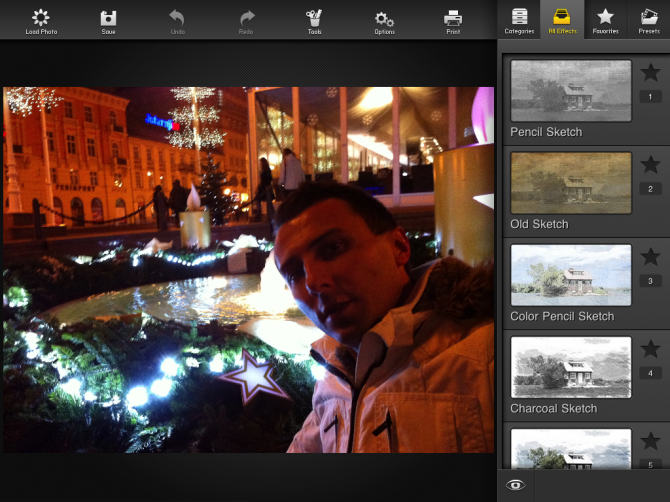 Matter of fact, it’s a viable alternative to any photo app out there – it’s that good. 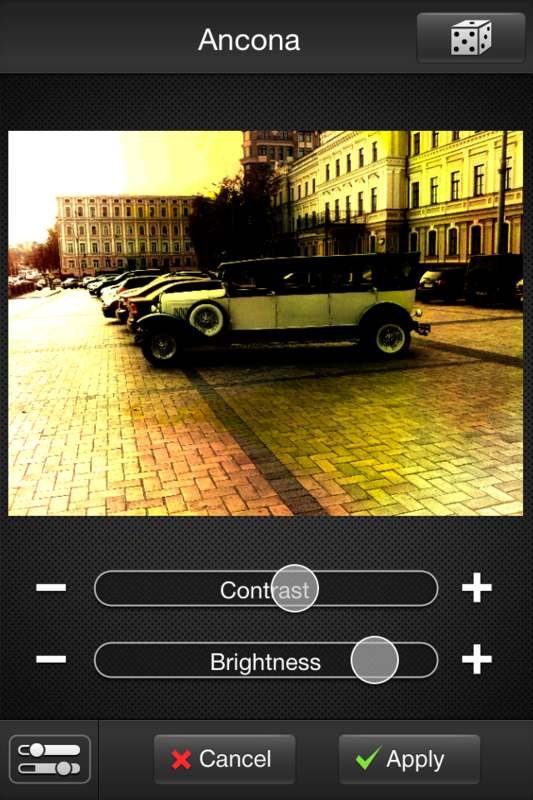 First of all, FX Photo Studio brings more bang for your buck than any other app out there with its cool assortment of 187 filters. Not all of them are great and some are dull, but most look like a million dollar. 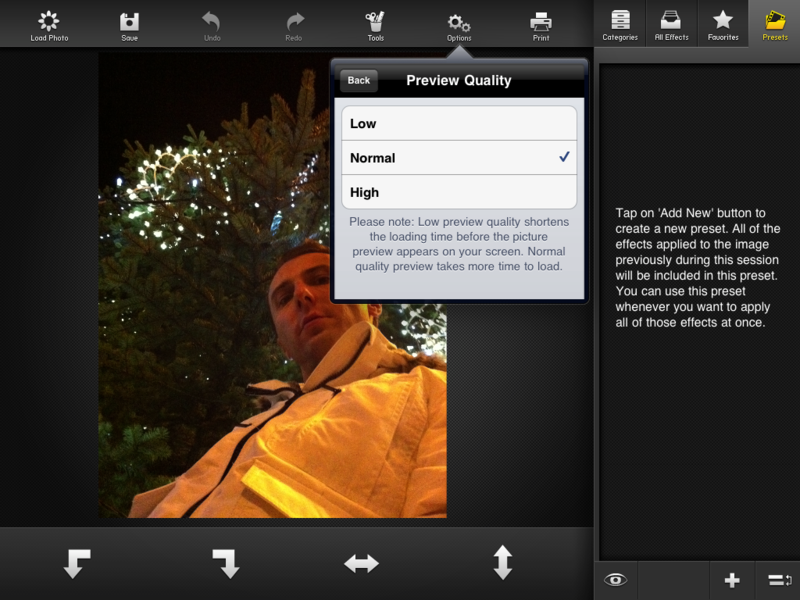 I’d say the overall choice of effects will satisfy avid photography fans, let alone casual users. Second, presets. You can save custom effect combos and apply them later with a tap, thus creating your personalized effects mixes. It’s a tremendous time-savior I wish I had in Camera+ and Photo fx. I can quickly create something new with presets and they work like magic. Just layer any combination of effects with custom options, hit the Add New button in the Presets section to save the effects sequence used on the image as a new preset. 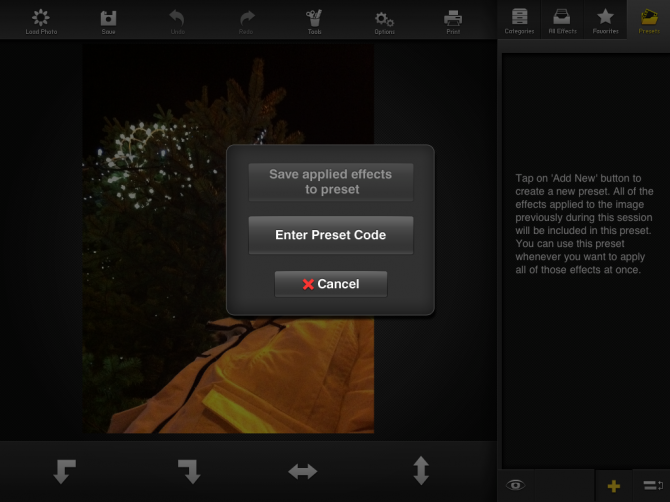 You can even share presets with other people and import saved presets via easy-to-use preset codes. Third, I just love the non-standard but otherwise gorgeous-looking user interface. User experience is always going to be a problem with productivity apps due to the limited screen real estate on your mobile device. FX Photo Studio solves this with clever design stemming from toolbars at both the screen top and bottom that go away with a tap. The top toolbar lines up the icons for the main screen, undo and redo, the effects browser and sharing options. Your crop, flip, rotate and gama controls go at the bottom. The interface works well in both portrait and landscape mode. It’s uncluttered and things are where you expect them or just a tap away. 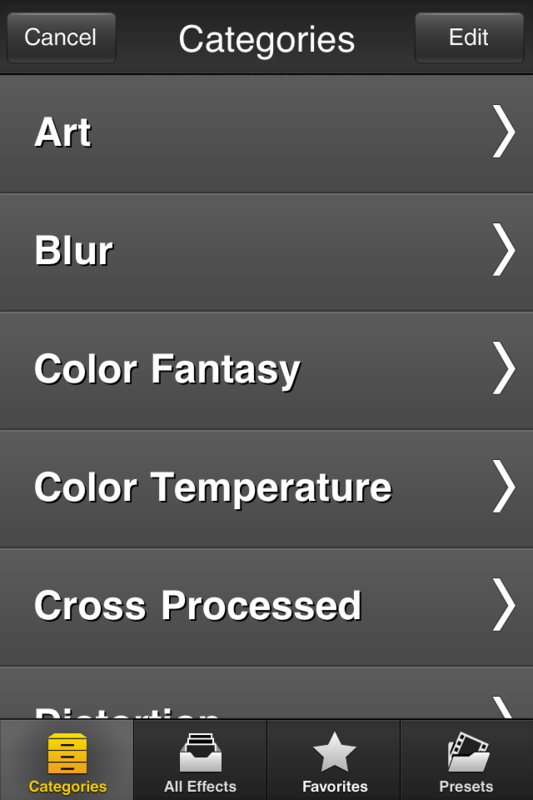 Tap the effects browser icon and your working image drops down to reveal a hierarchical menu with the effect categories – Art, Color Fantasy, Grunge, Photo Styles, Vintage and a whole bunch more. 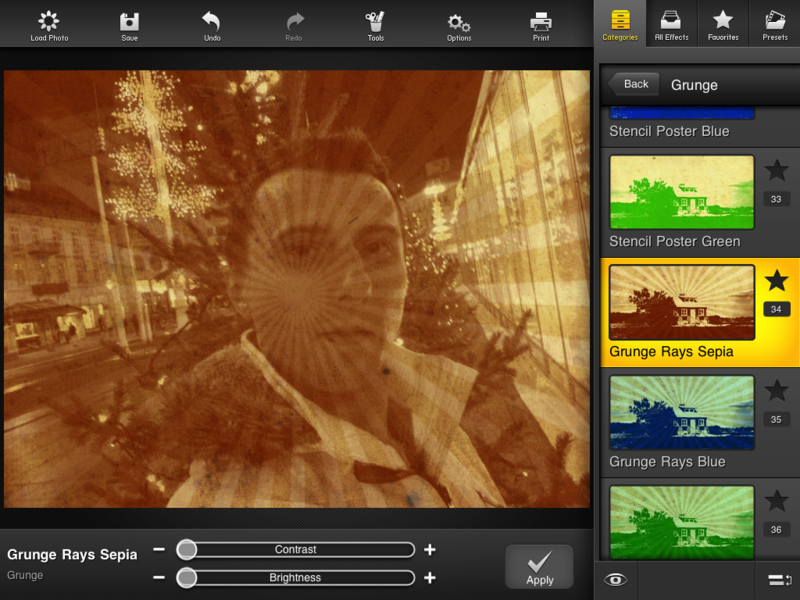 Effects are visually represented by nice thumbnails. Navigating through nearly two hundred filters needn’t be a cumbersome affair for you can tap the star icon to label your most-used effects as favorites. You can also browse the effects in a single view or hit the dice icon for a random filter (if you’re feeling lucky today). 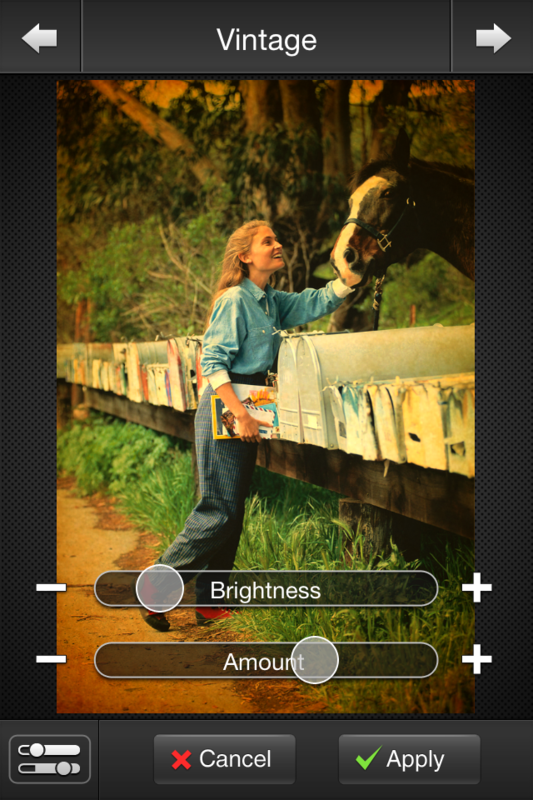 Tapping the image reveals granular controls to manually tune any filter. Some forty effects can be unlocked in exchange for 99 cents per additional category (Color Lenses, Color Strokes and Hollywood FX). I’m convinced though most folks will do away with built-in filters. 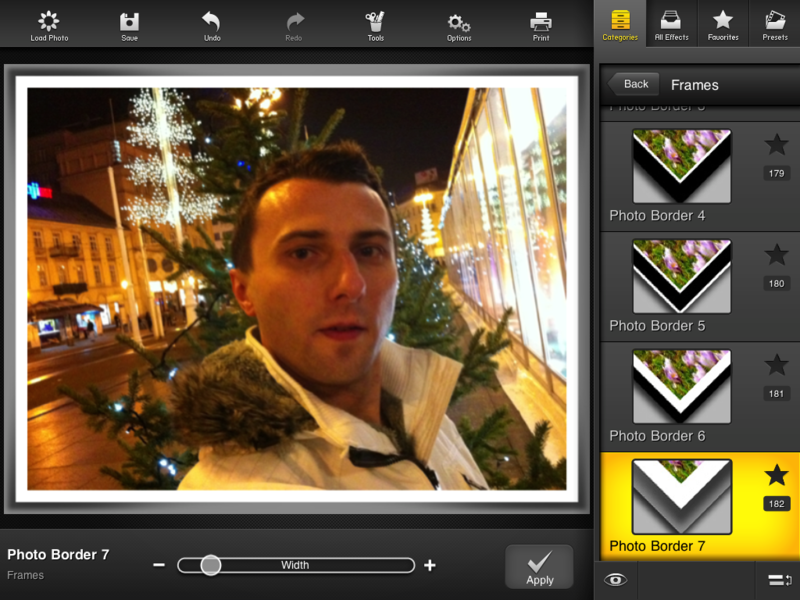 Touched up photos can be exported to the camera roll, sent to system clipboard or saved into the app’s private space for retrieval via the iTunes File Sharing feature. 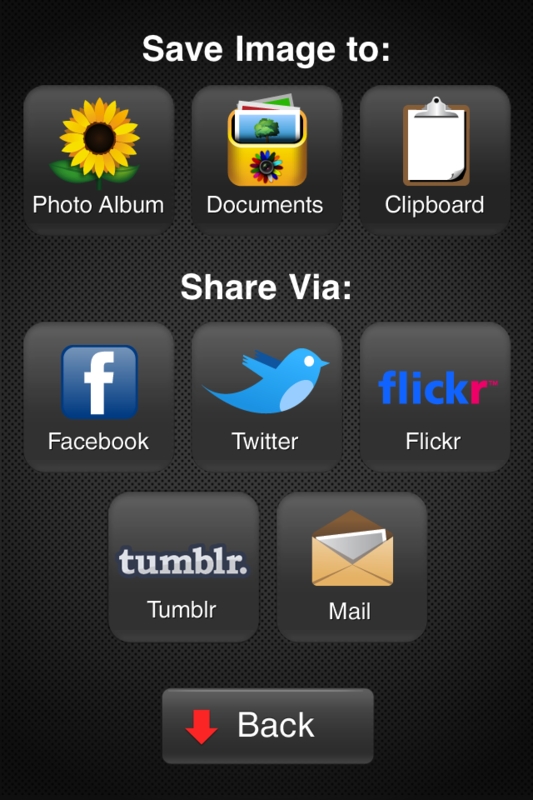 Your social sharing choices include Facebook, Twitter, Flickr, Tumblr and mail. 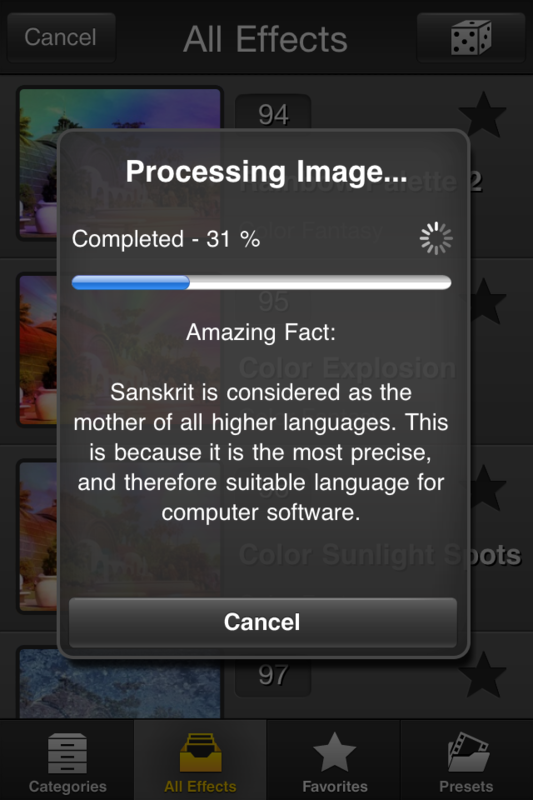 The app isn’t prone to crashes – it quit abruptly only once when I layered a dozen filters on a 2592-by-2592 image, which is the maximum supported resolution on iPhone 4. You’ll appreciate the amazing facts and hints which make rendering of complex filters more bearable. 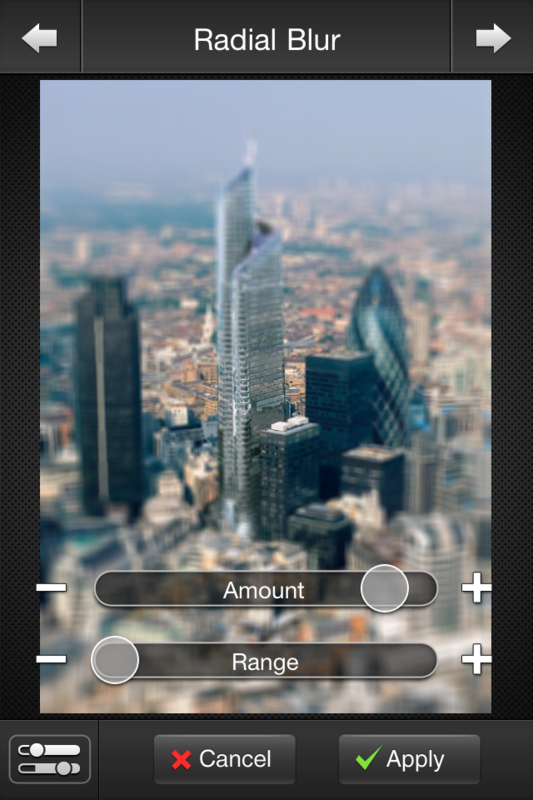 Also cool is the ability to rotate the crop area – something I haven’t seen in other apps. Another nice touch: Upon start, the app superimposes live feed from either front or back camera (you can set this in preferences) over the camera lens image in the middle of the sunflower logo. Granted, it does nothing but look pretty, but little touches like this show the attention to detail and care that went into this product. 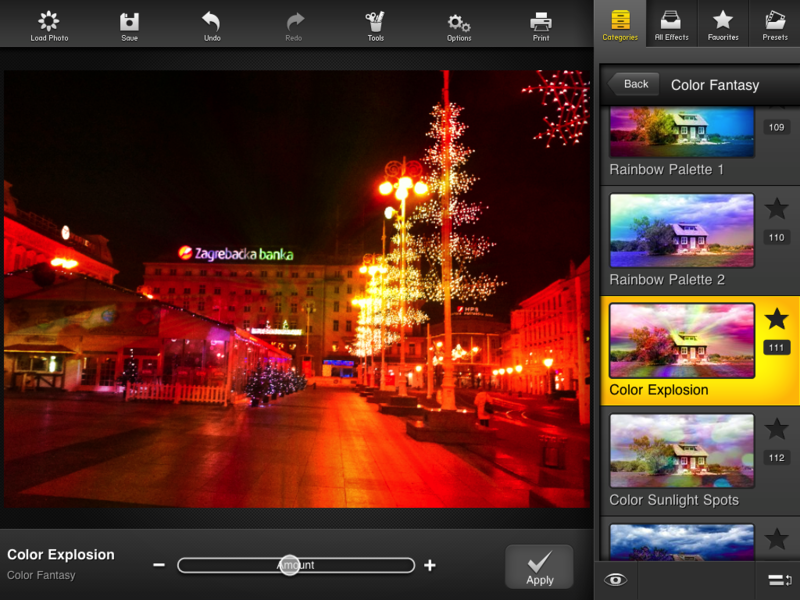 The gorgeous user interface, the ability to layer multiple effects and save filter sequences, the sheer number of built-in effects and their quality – all of this ultimately comes into play when picking the right photography app. In my personal opinion, FX Photo Studio delivers on all these fronts. It’s a refreshing take on mobile photography with nice features and plenty of high-end effects out of the box that make a difference for pro-grade touch ups. 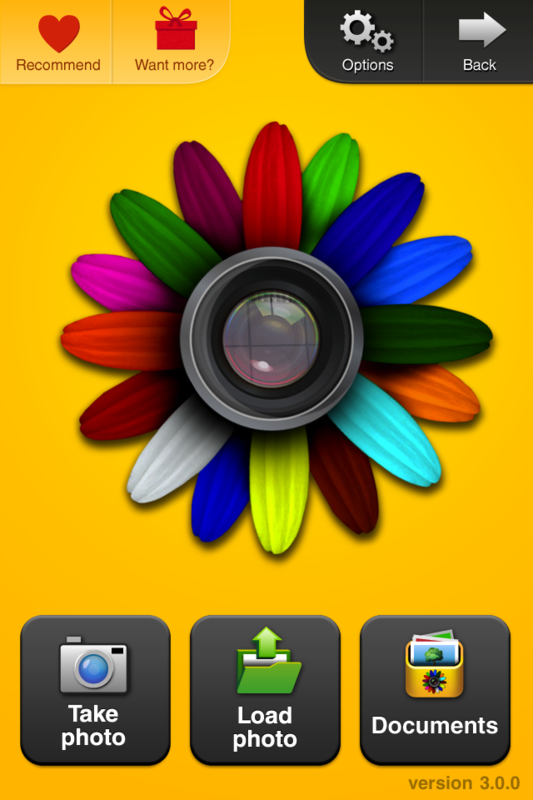 The app is optimized for both the iPhone 4’s Retina Display and iPad 2. A Mac version dubbed FX Photo Studio Pro is currently being approved by Apple and should appear on the Mac App Store soon. 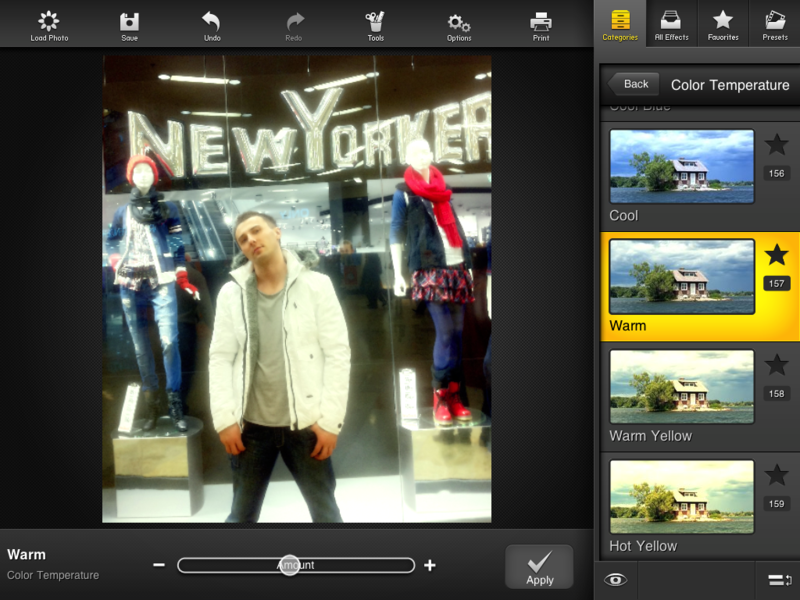 FX Photo Studio costs 99 cents for the iPhone and iPod touch. Unfortunately, it isn’t a universal binary yet so you will have to buy a standalone iPad version for three bucks. Wondering about that FX Photo Studio Pro for Mac review? Check here.